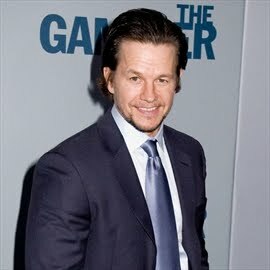 Gary Rome Hyundai Dealer Blog - A Gary Rome Hyundai Site (888) 637-4279: Mark Wahlberg buys his mom a Hyundai Azera! Mark Wahlberg bought his mom a new car as an early Christmas present. The 45-year-old actor has splashed out on some lavish gifts for his family this year, not least of all the brand new Hyundai Azera that the star handed to his mother Alma before they headed out to the Boston premiere of his new movie 'Patriots Day' - which is based on the terrible events of the Boston bombings - on Wednesday (12.14.16). Speaking to 'Entertainment Tonight', Alma said: "I looked out my front door today, and there was this brand new car sitting out there with the big red bow on it! "Don't laugh! He bought me a brand new Hyundai Azera, my favorite car in the world!" But the 'Deepwater Horizon' actor has admitted the car probably wasn't as big of a surprise as he would have liked, as his mother "kept asking" him if he could buy it for her. "I wanted it to be a surprise. If you're going to do it, you gotta do it right." The starting price for the flashy car is a cool $34,100, but money is no object for Mark when it comes to making his mother happy, as Alma says he's "grateful" to have her. She revealed: "I don't know if there's words [to describe how proud I am], but he's come a long way. "So, he's called me every day for the last two years. Every day...And you know what I love? He's grateful, and so that makes me really happy."